If you look at the financials of the publicly traded fuel-cell firms, the story remains as stark as ever. This is a lackluster, loss-filled business. It's been like that for decades. A newly public fuel cell developer, Intelligent Energy, had pretax losses of $77.3 million in the first three quarters of 2015 on revenues of $111.3 million. Fuel cells employ an assortment of membranes, catalysts and temperatures, but in almost all cases, the membranes are difficult and expensive to fabricate, the catalysts are rare and expensive (typically platinum or palladium), and the temperatures required in the processes are relatively high. Fuels range from natural gas to methanol to butane to hydrogen. There are ongoing efforts to reduce the need for expensive metals and to improve the reliability and lifetime of the fuel-cell stack. Leading technologies include proton exchange membrane (PEM), solid oxide (SOFC), and molten carbonate (MCFC). There are a number of other technologies, all equally adept at oxidizing investor capital. GM, Hyundai, Honda, Johnson Matthey, Panasonic, Siemens, Samsung, Sharp, Toshiba and Toyota have invested in fuel-cell technology. FuelCell Energy CEO Chip Bottone told GTM in a previous interview that the firm will be profitable when it achieves an 80-megawatt-per-year run rate. Plug Power's CEO, Andy Marsh, told GTM that he was looking for profitability for his fuel cell firm in 2014. 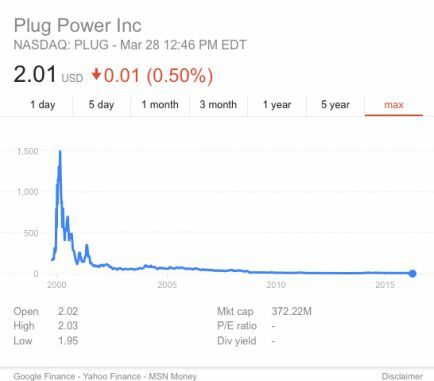 In March 2000, Plug Power's stock price was $1,400 and the company had a market cap of $6 billion. According to a Reuters report, "One longtime investor in Bloom, who requested anonymity, said it was 'within striking distance' of profitability." Bloom Energy and FuelCell Energy both build large stationary fuel cells, using SOFC and MCFC technologies, respectively. Plug Power, on the other hand, targets its PEM fuel cell system at powering forklifts and other vehicles in the $20 billion materials handling market. More than 2,500 fuel cells for material handling applications were deployed in 2014, according to a DOE report. State incentives in California and Connecticut have driven large stationary fuel-cell installations, but other states are considering fuel cells for microgrids and grid resiliency. Fuel cells are also eligible for the 30 percent federal Investment Tax Credit (ITC). Japan and South Korea continue to support fuel cell technology. While Bloom and FuelCell Energy's equipment runs on natural gas and requires a reformer, Plug Power's PEM fuels cells run on "five nines" hydrogen and work most productively with a hydrogen infrastructure at the customer site. Note that industrial giant and JV partner Air Liquide is an investor in Plug Power. 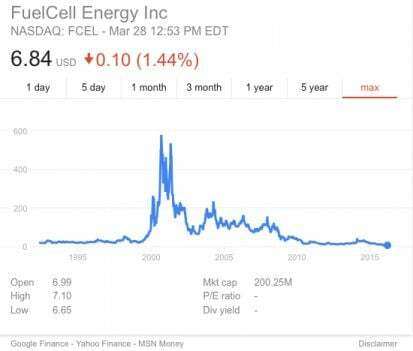 Another recurring theme in the long-term stock performance of public fuel-cell companies is an initial burst of stock buoyancy and hype followed by a dreary slog into unprofitability and small-cap company status. Still, the fuel-cell market is growing -- as is the list of Fortune 500 companies that are fuel-cell customers. In fact, almost 10 percent of Fortune 500 companies use fuel cells for stationary or motive power. The fuel-cell industry grew to $2.2 billion in 2014, up from $1.3 billion in 2013, according to a DOE report (PDF), which counts more than 50,000 fuel cells shipping in 2014, for a total of 180 megawatts. 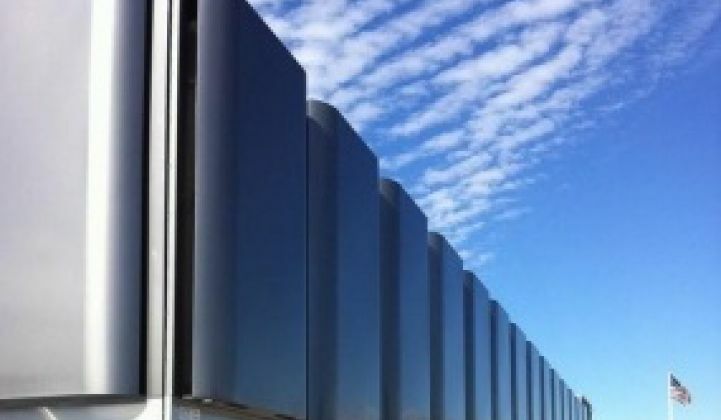 More than 81 megawatts of large stationary fuel cells were deployed or ordered in 2014, with Bloom accounting for more than 32 megawatts that year. Fuel-cell market forecasts are all over the map, however. The research firm MarketsandMarkets sees a $5.2 billion industry by 2019, with a compound annual growth rate of 14.7 percent from 2014 to 2019. According to a 2014 report from Navigant Research, the global revenue for stationary fuel cells will grow from $1.4 billion in 2013 to $40 billion in 2022, while WinterGreen Research sees the stationary fuel-cell market poised to increase to $14.3 billion in 2020. 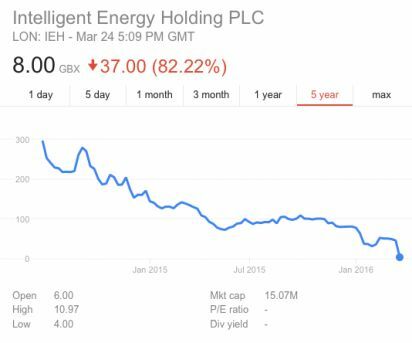 Amidst this profitless market uncertainty is the enigma of Bloom Energy. 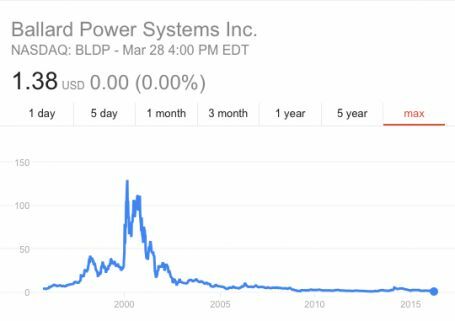 The 14-year-old company claims to have installed more than 150 200 megawatts of its fuel-cell systems in the U.S.
Bloom Energy has raised more than $1.2 billion since 2001, has amassed a roster of premier paying customers, and displays a knack for absorbing state subsidies intended for clean, renewable power. Investors in the firm include KPCB, NEA, Advanced Equities, Goldman Sachs, DAG, GSV Capital, Apex Venture Partners, Mobius Venture Capital, Madrone Capital, The New Zealand Superannuation Fund and SunBridge Partners. Board members include John Doerr of KP, AOL founder Steve Case, and former U.S. Secretary of State Colin Powell. Bloom units run on natural gas, a fossil fuel commodity subject to price increases and volatility. Bloom's business has relied on state subsidies for distributed energy, but subsidies expire. The long-term reliability of the fuel-cell stack remains a risk for Bloom and every other fuel-cell builder. Bloom's latest cash infusion was $130 million in debt raised from undisclosed investors in early 2015, according to the WSJ. Michael Dempsey, an analyst at venture capital research firm CB Insights, quoted in an article for CNBC, pointed to the $130 million convertible note as a sign of "an equity valuation that could be aggressive and a signal that another equity round could only have been executed at a reduced valuation." Bloom's valuation still dwarfs the collective market cap of the public fuel-cell firms, and its revenue might be greater than the collective revenue of those firms. An investor colleague advised, “The structure of these notes appears to suggest [the company] will need to file for an IPO sometime over the next 12 to 18 months in order to hit the indicated window." Bloom is a secretive privately held firm that divulges little about its costs and finances. According to an investor letter cited by Dan Primack of Fortune, Bloom had $101 million in pro forma Q3 2012 revenue, while its cost of goods was $106 million, along with $26 million in operating expenses. That's a loss of $42 million on a GAAP basis, along with a net cash loss of $80 million in the quarter. Bloom has suggested a cost of $7,000 to $8,000 per kilowatt for a Bloom Box, which makes it an economically uncompetitive power source. Scott Samuelsen, director of the National Fuel Cell Research Center at the University of California, Irvine, quoted in a CNBC report, claims, "The fuel-cell companies that are public are beginning to demonstrate costs that are beginning to approach $3,000 per kilowatt." If past is prologue, then the fuel-cell industry will remain a growing yet profitless market. Can Bloom Energy, Plug Power, GE or any of the other incumbents buck this 150-year-old curse? Bloom is a perennial entry in GTM's annual list of IPO candidates. As we've asked before, what other exits exist for this firm? Anything less than an IPO or an enormous acquisition would be a disappointment to the firm's investors and existing customers. Venture capital firms and their limited partners typically look for results within a decade. In the meantime, the firm's revenue is substantial enough to warrant an IPO, despite the harrowing IPO climate in the U.S.
Can Bloom's Silicon Valley pedigree and ruling-class financiers change the course of the fuel-cell industry and make money in this business? Or will the physics and financial reality of fuel cells claim another victim? This is the year we find out.